KX-TES824E KX-TES824 is supplied configured for 3 lines and 8 extensions, and can be expanded to a maximum configuration of 8 lines and 24 extensions. Includes built-in DISA / AA - Automated Attendant, Message on busy, Extension CLI and USB for PC programming. KX-TE82474E The Panasonic KX-TE82474E 8 SLT Card Eight port single line telephone extension card for the Panasonic KX-TES824 system. 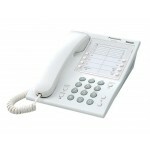 KX-TE82492NE The KX-TES82492 2 channel voice message card allows the extensions on the KX-TE 824 telephone system to have individual greetings when extensions are engaged. 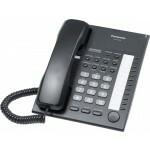 KX-TE82461NE Add on card for Panasonic PBX Systems KX-TES824. 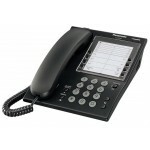 KX-TE82460NE The door phone adaptor for the Panasonic KX-TEA308 telephone phone system lets users control up to two door phones and door release mechanisms. 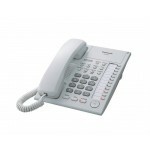 KX-TE82491NE The Panasonic KXTES82491 DISA Card allows the the users of your Panasonic KXTES824 telephone system to have individual Direct Dial numbers so they can be reached directly at their extension by clients.